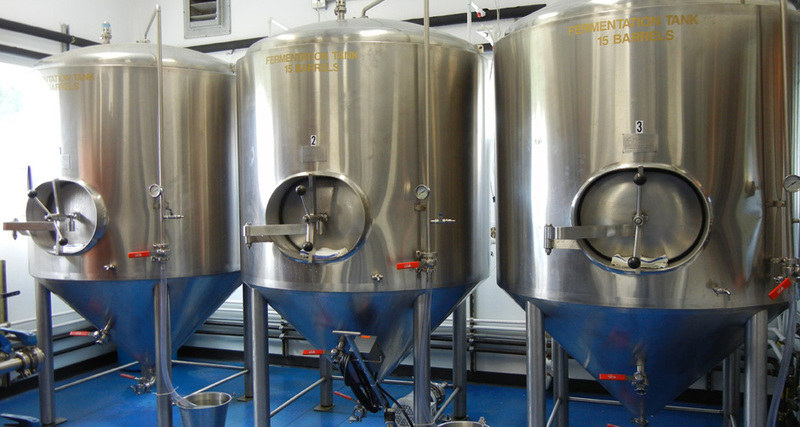 Thanks to consumers’ deepening love affair with craft beer and state legislation that cuts set-up expenses and red tape, New York’s brewing industry is growing so fast that it’s even hard to buy used equipment. But when the LoBianco family, who own Angela’s Pizzeria, decided to start making beer at their 31-year-old Italian restaurant in Catskill last year, they didn’t mess around with beginners. They hired Nat Collins, who in 1989, opened the region’s first microbrewery, Woodstock Brewing Co. in Kingston, and a few years later co-founded the statewide craft beer festival, TAP-NY. It’s a match-up of restaurant and brewing veterans: in addition to the Angela’s Pizzeria brand, which at one point was a small chain, the LoBianco family has owned and operated Hyde Park Brewing Co., the Hudson Valley’s first brewpub, since 1984. Joey LoBianco, the son of founders Tony and Angela, also ran the iconic Skytop Steakhouse and Brewing Co. in Kingston for 12 years. “Nat and I have known each other forever, and I just called him up and said, hey, why don’t you come work for me?” LoBianco said. 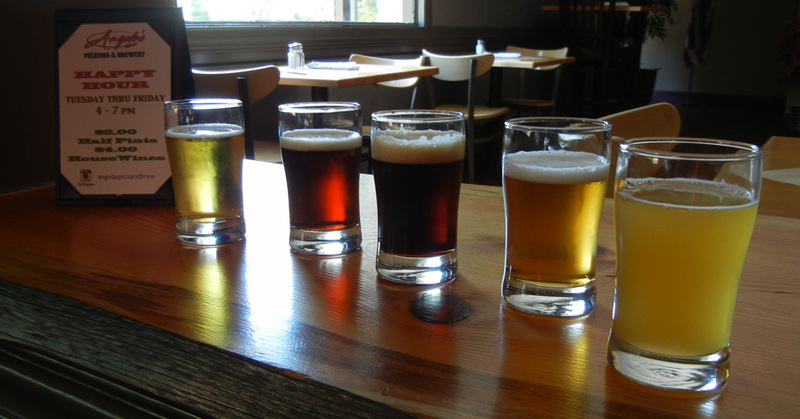 That was in the spring of 2014, when Collins had spent the winter preparing to open the Hunter Mountain Brewery, a large brewpub between Hunter and Tannersville just up the mountain. Collins walked away from the project over differences with his partner, he said. LoBianco happened to call him two days later. “It’s really true what they say: when one door closes, another one opens,” Collins said last week, standing in his new brew room in knee-high rubber boots. 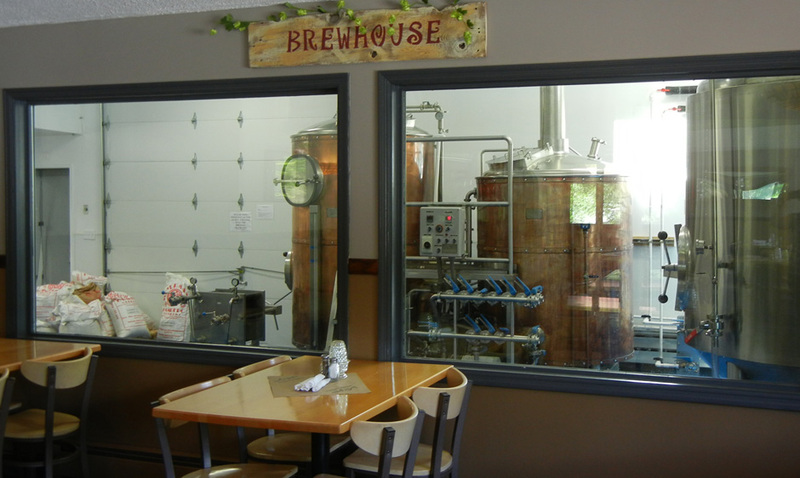 LoBianco built an addition at Angela’s to house the brewing operation, setting up the equipment he retained from the Skytop when it closed at the end of 2013. At the same time, he temporarily shuttered the 130-seat restaurant to do cosmetic renovations in the dining room and upgrades in the kitchen. 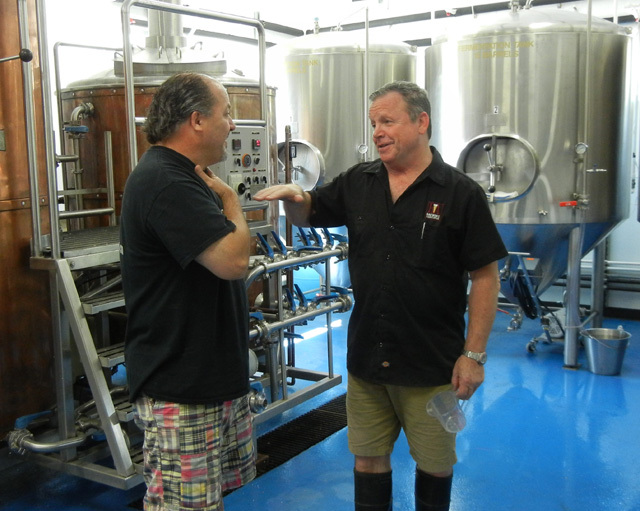 Collins came on board last summer, and the Rip Van Winkle Brewing Co. was born. Collins is currently brewing five beers for consumption on site and take-out growlers. Mountain House Light is a helles, a German-style golden lager that’s 4.1 percent alcohol. Kiskatom Brown Ale, named for the Native American word for “hickory nut,” is an English-style brown ale that is 6.2 percent. Iron Mitts is an Irish Stout, at 5 percent. 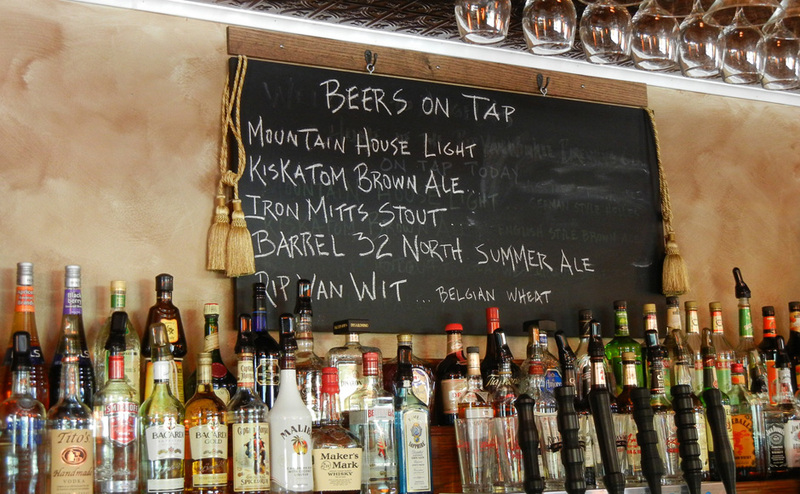 A summer ale called Barrel 32 North and an unfiltered Belgian wheat beer called Rip Van Wit round out the roster. “We haven’t had a beer yet that hasn’t been well-received,” Collins said. The plan is to market kegs wholesale to other restaurants by this fall, and LoBianco (who names all the beers) says it’s his dream to revive one of his family’s flagship offerings, the Winkle Lager. On the food side, LoBianco describes Angela’s, which is named after his mother, as a classic red-sauce joint. “We’re not trying to be upscale anything. I just want to be the place that if you want a great pizza, we make a great pizza. You want chicken parm? We make a great chicken parm,” he said. After watching breweries come and go for the better part of three decades, LoBianco calls the current boom a “second Renaissance” of local beer. “It’s great to see people getting involved for the love of the craft, and not just because it’s the hot new trend,” he said. The master brewer and the veteran restaurater, joking together in the brew room, recounted recent victories at converting die-hard Budweiser drinkers. One loyal regular announced when the brewery debuted that he would continue patronizing the restaurant but would never touch the fancy microbrews. Now, he preaches to anyone at the bar who will listen that the beer they make is better than any mass-market brew. “People around here are really embracing what we’re making,” LoBianco said. Find Angela’s Pizzeria & Brewery at 4545 Route 32 in Catskill. It serves lunch and dinner Tuesday through Sunday. After reading this WE must try it on our next trip to Catskill! Great family run place, food is great and Beer is awesome! Keep it going! !